This time I would like to start another Special Giveaway ONLY for SCforum's members provided by our partner Company - . 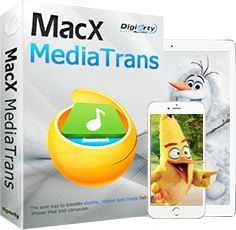 With courtesy of our Sponsor, We have 10 licenses for MacX MediaTrans (each worth $40). Your bulky 4k videos and live photos are maxing out the iPhone storage, your chaotic songs are messing up the music library, and your HD recordings are running into format issues, yet all the files are your most valued possessions. MacX MediaTrans has your back, bringing you a fast way to manage, backup and transfer your iOS mobile data, e.g. videos, music, ebooks, photos, Voice Memo, ringtone, iTunes U, Podcast and more. You can even export iTunes purchases such as iTunes movies, music, TV shows, Audiobooks, etc to computer and make them accessible to non-Apple devices. No more space woes, media dumping or cluttering. Support iOS 10, iPhone 7 and iPhone 7 Plus now! - Transfer video, music, photo, HD movie, TV show between iPhone iPad iPod and Mac. - Decode movies, videos, music and audio books purchased from iTunes stores. - Use iPhone as USB flash drive to store any type of files. - Make/create ringtone for iPhone, create/delete/edit playlists. - Delete all photos in Camera Roll list. - Two-way sync at super-fast transferring speed. - Reduce big file size to 50% without quality loss. How to get the prize from Digiarty ?! 1. Tell us, what is one of your favorite songs? Don't forget to include YouTube link. 3. Once you have done this, post a reply - here at SCforum, with included Links to your "sharing". 4. We'll manually distribute license keys on "first-come, first-served" policy via PM or email. one of your favorite songs? Hi Guys and sorry for the delay. You'll get your license keys, ASAP... just inform us, which Operating Systems you use ?? Can I please have the windows version? Thanks for the giveaway!!! I want the windows version.